How Cinnamon Oil Can Help in Toe Nail Fungus? Toenail fungus or onychomycosis is simply an infection which results in the formation of a whitish-yellow spot beneath the toenail. As the fungal growth spreads, there may be a slight discoloration of the toenail. It is a relatively simple condition and sometimes may not cause any discomfort. However, if it results in the formation of thickened nails or if it is painful, then treatment options should be considered. Also, nail fungal infection should not be confused with a fungal infection between the toes which is known as athlete’s foot. How is Cinnamon oil beneficial to treat this condition? Dosage and how to use it? Cinnamon is a popular herb and spice and is used widely in South America and South-east Asia. It is available in two main forms- Cassia and Ceylon. The oils of cinnamon are very beneficial and can be extracted from different parts of the plant. The major cause of toenail fungus is infection by a fungal species known as Candida. In addition to this, various yeast infections, fungi belonging to the class of dermatophytes, injury to the nail, etc. can all lead to the development of the infection. A large number of home remedies are available which can easily treat this condition. Most home remedies involve the use of various plant oils which can help fight the infection. One such essential oil is the cinnamon tree oil. 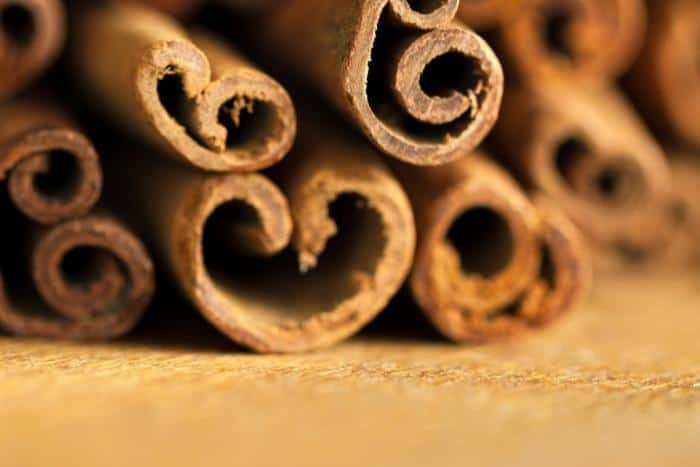 A study has analyzed the bioactivity of cinnamon essential oils and tested it against numerous bacterial and fungal strains. They have concluded that cinnamon essential oils are good anti-microbial and anti-fungal agents. The oils from cinnamon were tested for their efficacy against Aspergillus niger and Aspergillus flavus. The Aspergillus genus of fungus is known to be a causative agent of toenail infection. Hence, cinnamon oils will be effective in treating this infection. Another study has analysed the essential oils of Cinnamomum osmopholeum, a member of the cinnamon family. They identified each ingredient in the essential oils and classified them into six basic chemotypes- cinnamaldehyde, cinnamaldehyde/cinnamyl acetate, cinnamyl acetate, linalool, camphor and mixed. The antifungal activities of each of these classes were checked. The fungal species which were used were- Trametes versicolor, Lenzites betulina and Laetiporus sulphureus. The leaf essential oils of the cinnamaldehyde and cinnamaldehyde/cinnamyl acetate type demonstrated the best anti-fungal activity amongst all the chemotypes. The anti-fungal indices against the selected fungal strains at 200μg/ml were 100%! They also found that cinnamaldehyde possessed the highest anti-fungal activity amongst all the chemotypes. Thus, this study conclusively shows that cinnamon oils are effective against fungi. Cinnamon is known to be a very powerful anti-fungal agent. This anti-fungal activity of cinnamon is attributed to o-methoxycinnamaldehyde. This bioactive agent is known to inhibit Aspergillus parasiticus and Aspergillus falvus at a concentration of 100 μg/ml and Aspergillus ochraceusand Aspergillus versicolor at 200 μg/ml. Thus, cinnamon essential oils have the potential to halt the growth of fungi and this good help to control the spread of the infection. Cinnamon oils can also be used along with clove oils to treat fungal infections. Both these oils are rich in eugenol which is effective in killing fungi. 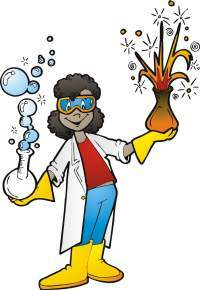 The Minimum Inhibitory Concentration of the essential oils was about 4%. Thus, a combination of oils can also be used to treat fungal infections of the toes. In addition to fighting fungal infections, cinnamon essential oils possess many other benefits. They also help to prevent bacterial infection and thus eliminate the possibility of any bacterial infection occurring in the cut and infected portions of our toes. The application of the oil directly to the infected portion ensures quick and rapid action. Also, it keeps the toe dry and prevents any further infection. Fungi thrive in moist and warm environments and the oil ensures the elimination of any water and moisture. This inhibits the growth of the infective fungi. Cinnamon oils are easy to obtain and are also cost-effective. It is necessary to ensure that you are purchasing the ‘true’ cinnamon oils and not any adulterated or low-quality oils. These will not be as effective as the true oils. One of the simplest ways to use cinnamon to treat this fungal infection is to directly apply about 2% diluted cinnamon oil to the infected area. Another method to treat the infection using cinnamon involves preparing a water bath with cinnamon. The cinnamon is to be shredded and two tablespoons of the shredded cinnamon is to be added to the bath. The infected foot will be treated due to the contact of the anti-fungal bioactive molecules from cinnamon. In case you have sensitive skin, the cinnamon oil is to be diluted in water. A few drops of the oil are to be added to a teaspoon of water and then applied. Additionally, the oil can also be diluted with other oils such as coconut oil which too can help to prevent the fungal infection. In addition to this, as cinnamon can be consumed, we can also use cinnamon powders and cinnamon infusions in teas to treat this condition. The treatment of the infection by any of these methods may take a few weeks to cure the infection. Thus, it is necessary to apply the oil regularly and prevent any reoccurrence. The treatment with cinnamon oil is not permanent. The infection can reoccur and for this reason, it is necessary to take good care of our feet and protect it from damage. Two major varieties of cinnamon are available- Cassia cinnamon and Ceylon cinnamon. Cassia cinnamon is not the true cinnamon and contains a high quantity of coumarin. This is known to cause liver and kidney damage. Thus, it is necessary to ensure that you purchase the ‘true’ Ceylon cinnamon. Also, cinnamon intake should be restricted to 2-4g per day and should not be consumed for a very long period of time. Please consult a physician before consuming cinnamon for medicinal purposes. Cinnamon essential oils are very beneficial as they are rich in compounds which show anti-fungal and anti-bacterial properties. Toenail fungal infection is caused by many fungal species and the active ingredients in cinnamon are effective against some of these species. The ingredients of cinnamon which are responsible for the anti-fungal activity are eugenol and cinnamaldehyde. Cinnamon oils can be used in many ways to treat the infection. However, the treatment does take time to cure the infection and regular application of the oil is suggested. Next article15 Foods for Glowing Skin!